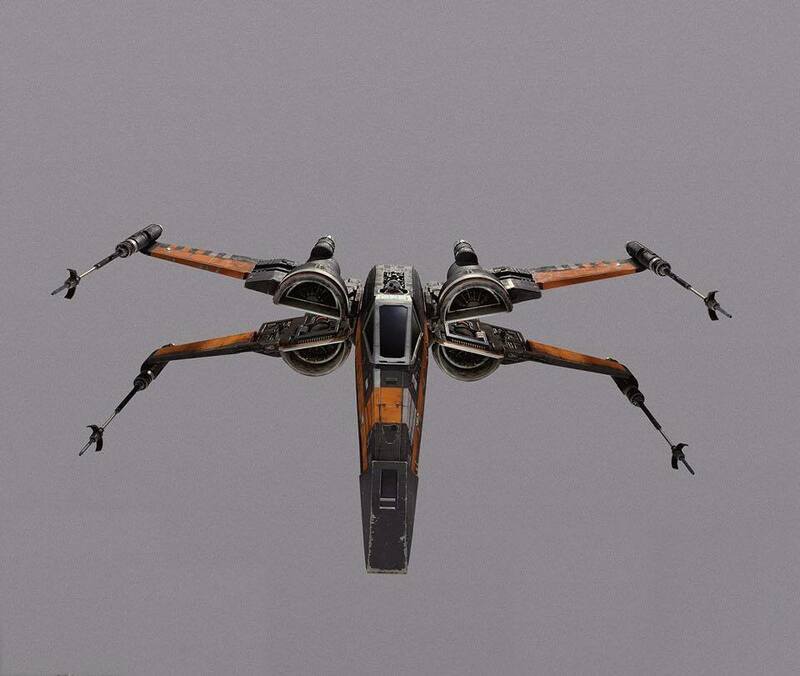 The folks at CosmicBookNews are reporting that a collection of promotional images featuring characters and ships from The Force Awakens have been revealed. 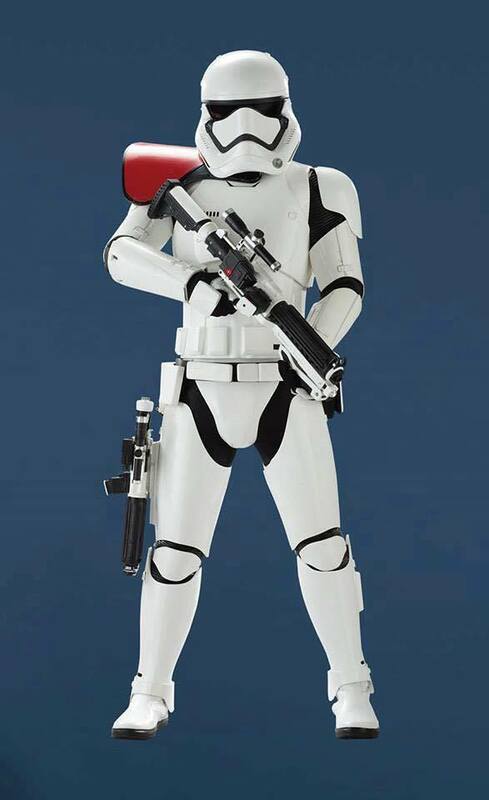 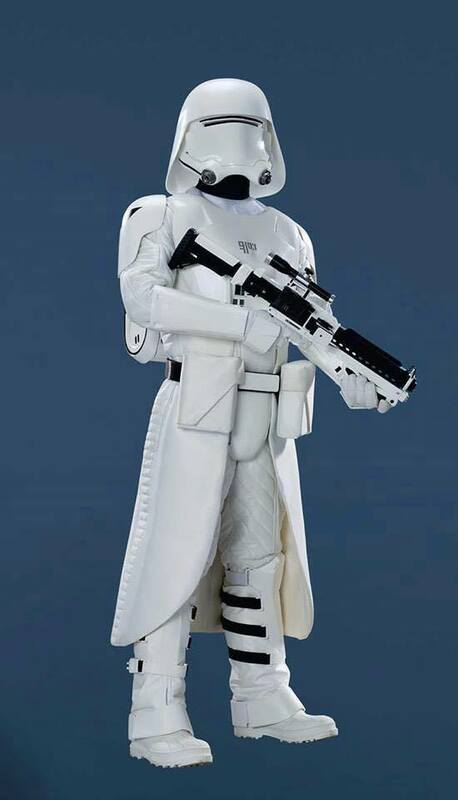 They come to us via Reddit and show some very detailed looks at Rey, Finn, Kylo Ren, and an assortment of Stortroopers, as well as Poe Dameron's black X-Wing and TIE Fighters. Unlike a lot of photos and artwork we've seen adorning everything from toys to posters, these feature the single characters and ships by themselves on solid backgrounds. 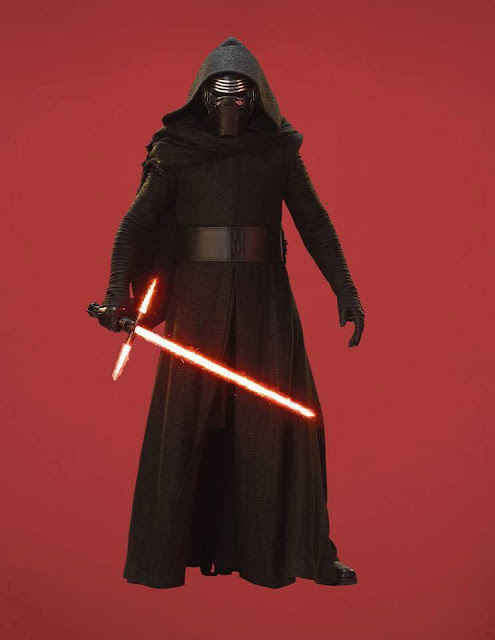 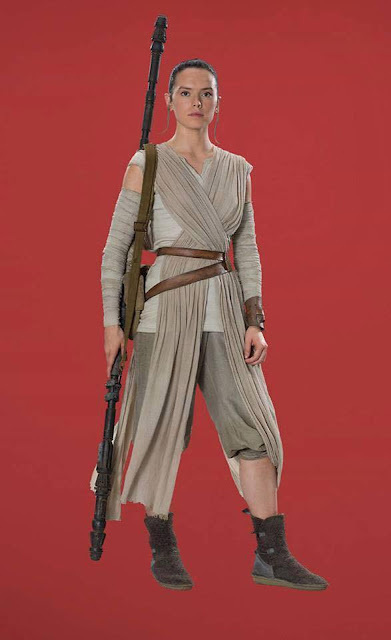 We've seen plenty of photos like this from the original six films, but these are the first of their kind from Episode VII. 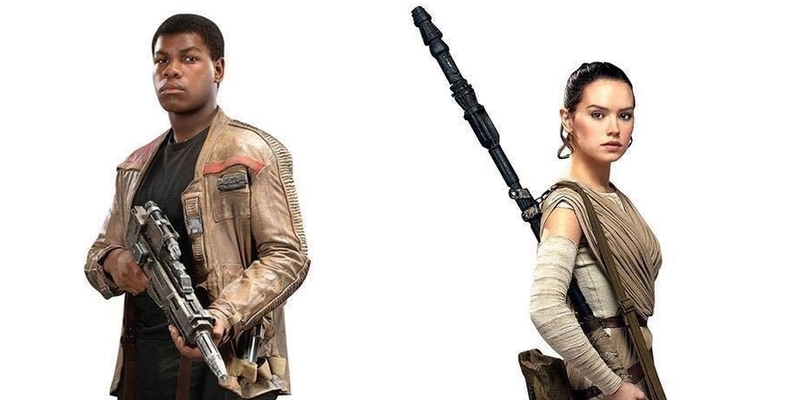 It's especially intriguing to get a detailed look at these still unknown characters. 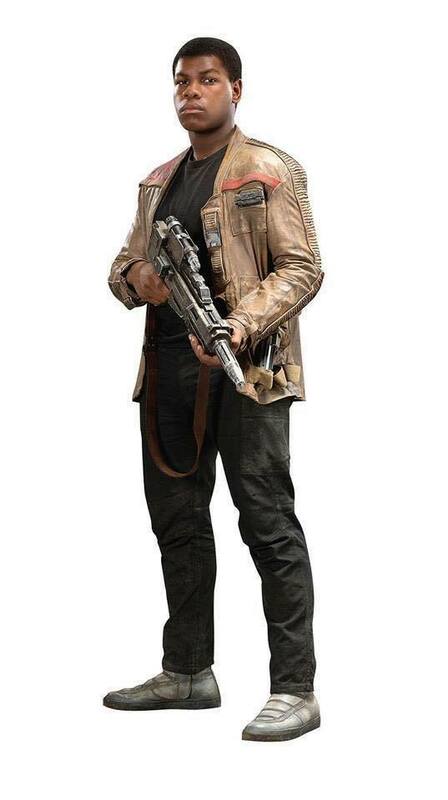 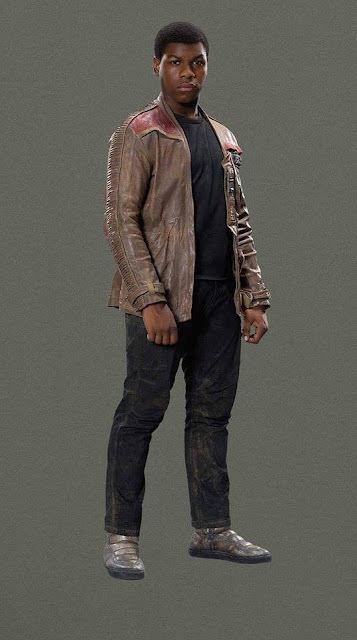 Below you can see two different photos of John Boyega's Finn, one of which(white background) appears to show Anakin Skywalker's Lightsaber in the right pocket of his jacket, which he now famously wielding in the recent Instagram teaser. In addition we also see Daisy Ridley as Rey striking several different poses, most of which she appears ready for a fight holding mysterious staff. 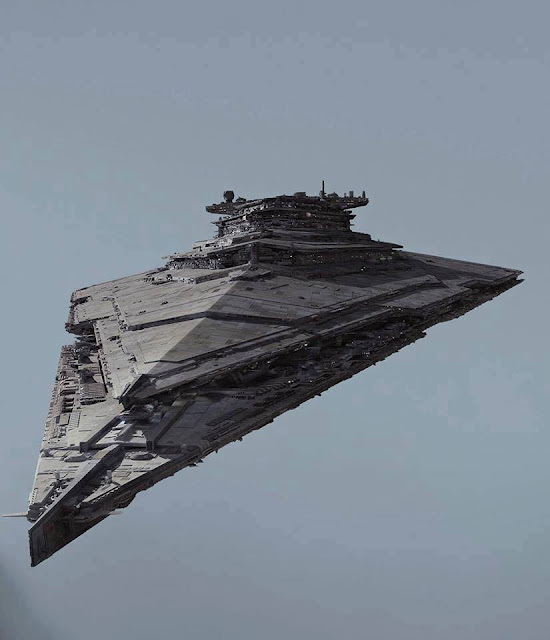 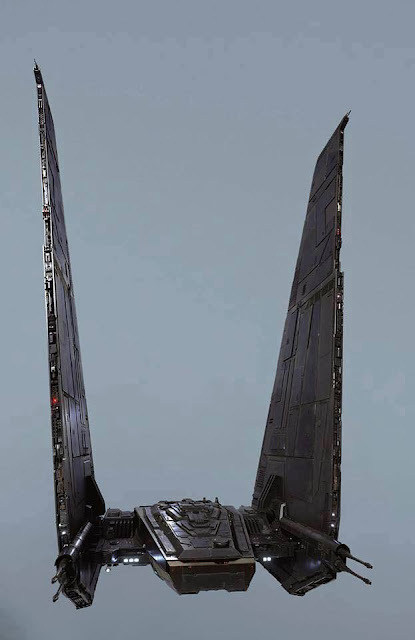 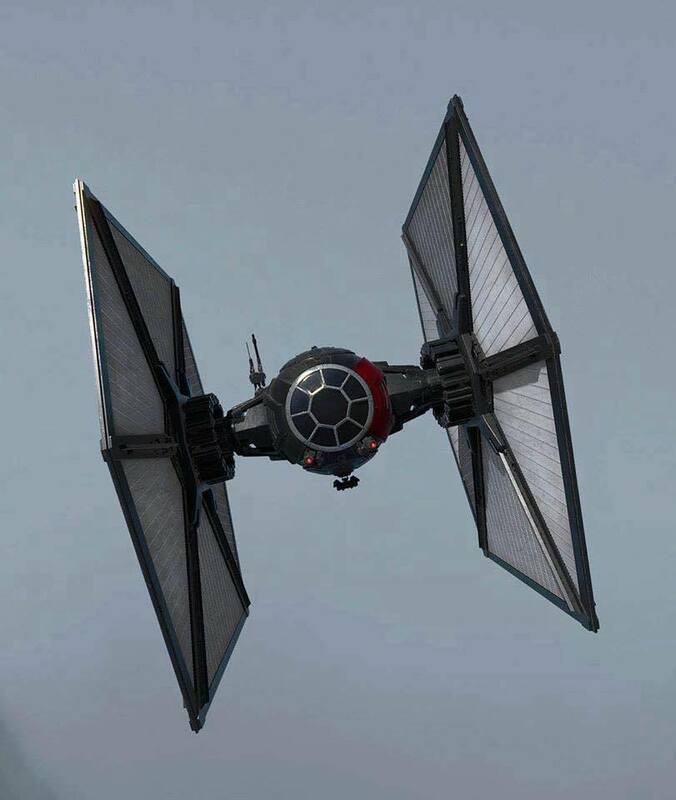 Also, scroll down for looks at the First Order Star Destroyer Finalizer and Kylo Ren's command shuttle. 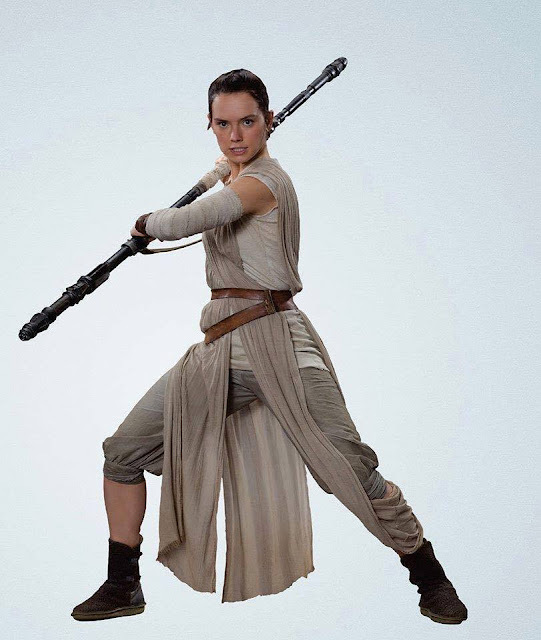 You can see even more photos by visiting CosmicBookNews! 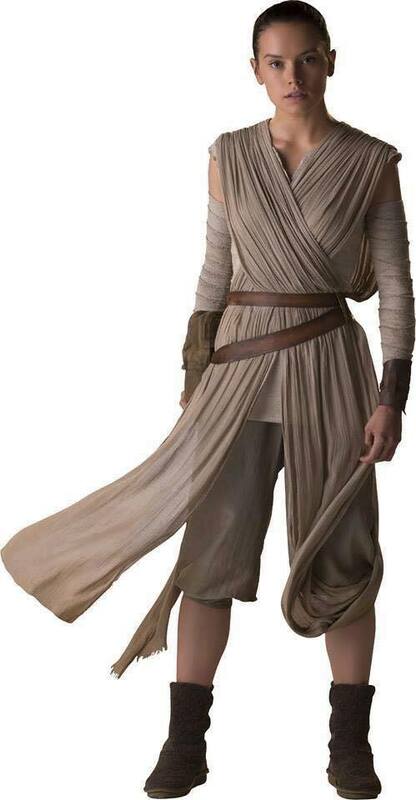 Star Wars Episode VII: The Force Awakens hits theaters on December 18th in the U.S! 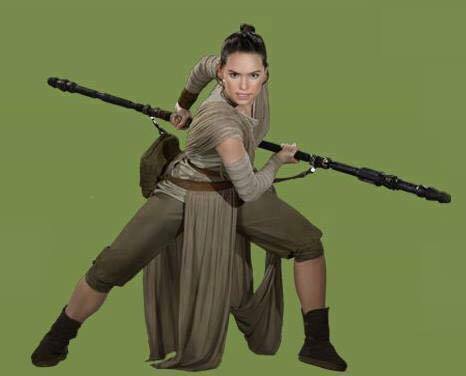 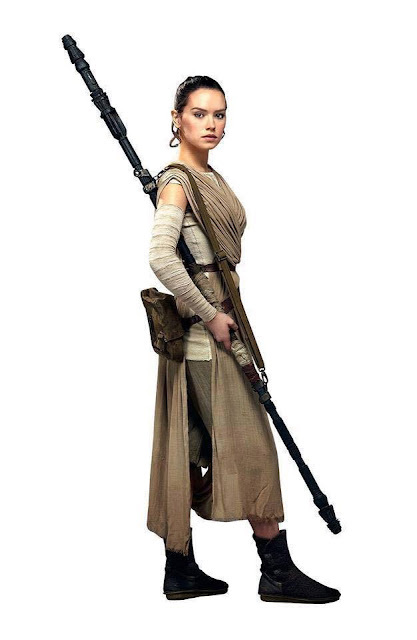 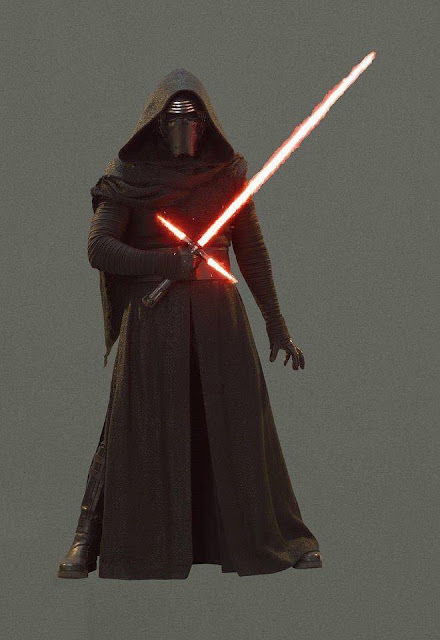 I think Reys staff could be a secret lightsaber.